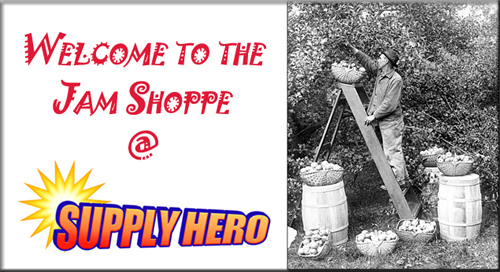 I’m sure you are wondering why Supply Hero is selling homemade jam. Well, our CEO found this great product made by a local company and he had to have it for our site. We think it's the best jam available. Our jam is real jam! No artificial flavors; no artificial sweeteners; no artificial preservatives. Just lots of real fruit and real flavor – just what you could expect from a homestyle product. Questions? Contact us via e-mail and we’ll quickly get back to you with the information you need.